Central Italy is a treasure trove of beautiful landscapes and natural sites, lively towns and cities as well as unique archeological wonders. Below is a selection of our favorite places that can all be reached in less than an hour’s drive from Domus Civita in the 3 regions of Umbria, Tuscany and Lazio. 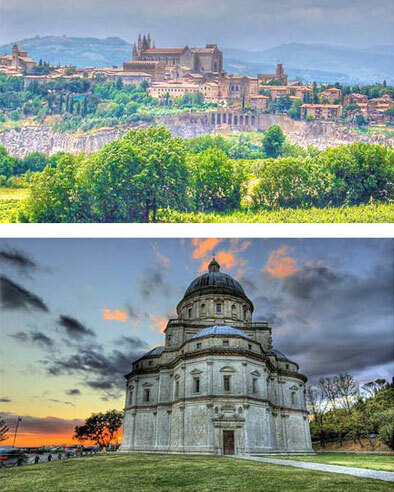 Orvieto is one of Italy’s most dramatically situated hill towns commanding a position atop a 600-foot tufa plateau. It dates from Etruscan times and boasts the most beautiful Gothic cathedral in Italy as well as some of Italy’s best known white wines. Frescos by Signorelli inside the cathedral are believed to have inspired Michelangelo’s Last Judgment in the Sistine Chapel in Rome. Orvieto has many other visitable sites in addition to being a great place to stroll, shop, and enjoy the ambiance of a vibrant Italian town. 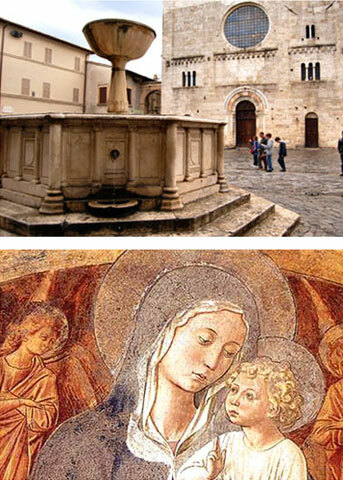 Todi and Spoleto are two of the most visited towns of Umbria. Todi is the rising star of Umbrian hill towns featuring a phenomenal position above the Tiber River which goes on to flow to Rome and the sea. 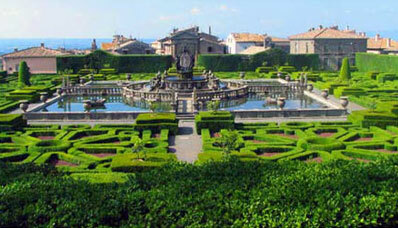 It has a matchless ensemble of Medieval palaces, an excellent museum, and a beautiful cathedral. Outside the walls you will find a jewel-like central plan church attributed to the renowned Renaissance architect Bramante. Spoleto has long been the best loved Umbrian town for international visitors. 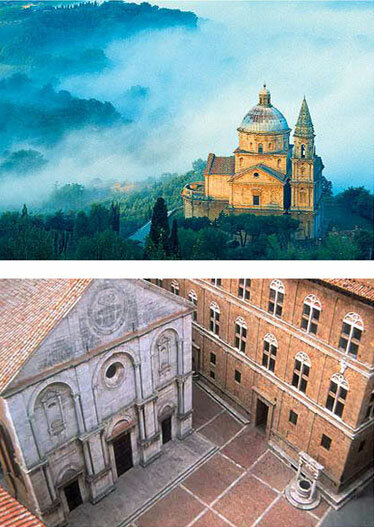 It has many noteworthy churches, a lovely cathedral, and a picturesque piazza. Its outstanding natural feature is a wooded gorge that you can cross via a fourteenth century bridge and acqueduct which will take you to one of the most beautiful Romanesque churches in Italy. Foligno is a quiet, prosperous town at the center of an essential piece of Umbria, a collection of four lovely hill towns and a beautiful abbey, none further than eight miles from the center of Foligno. A visit to this area will make an enjoyable day trip. 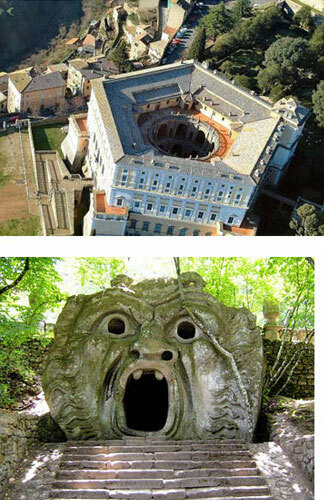 Trevi has perhaps the most glorious position of any Umbrian hill town overlooking the Clitunno River valley. Its Medieval heart is a delight to wander through and its olive oil is prized. Bevagna in the Clitunno Valley is noted for it central piazza, one of Italy’s most perfect Medieval squares. Spello with its huddled mass of pink-hued houses on the slopes of Monte Subasio looks like the quintessential Umbrian hill town with Roman gates that are witnesses to its distinguished history. Montefalco with its panoramic views of the entire region is known as the “Balcony of Umbria.” On a clear day you can see all of Umbria from Spoleto to Perugia. In addition, it offers a museum featuring works by the most famous Umbrian artists, a stunning fresco cycle of the life of St. Francis by Benozzo Gozzoli in the Church of St. Francis, and a maze of charming Medieval streets. For an extra treat visit the nearby eleventh century Abbazia di Sassovivo which contains Umbria’s finest cloister. Umbria’s capital and largest city, Perugia, was one of the twelve Etruscan city-states that constituted the federation of Etruria in the seventh and sixth centuries B.C. Today the massive Etruscan walls and gates define the city center that includes grand Medieval buildings as well as a great university and wonderful museums. The late afternoon passegiata on the Corso is an experience that you will remember. Against the imposing backdrop of its great architecture the well-dressed inhabitants of the town participate in the timeless ritual of the see-and-be-seen evening walk. While this is a standard feature in all Italian towns, Perugia’s evening walk is one to remember. Rome, the largest city in the region and Italy’s capital, dominates Lazio. Yet there is much to discover in this region including phenomenal Etruscan sites, splendid volcanic lakes, and a unique collection of villas and gardens, in addition to cities and towns steeped in history. The town of Bolsena sits at the eastern edge of the Lake Bolsena, a volcanic lake formed by an eruption 250,000 years ago. 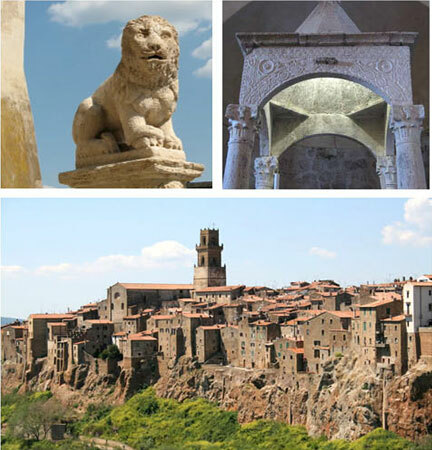 Like so much of central Italy, Bolsena bears the signs of almost every important period of the Italian peninsula, going back as far as the Iron Age and progressing through the times of the martyrs, catacombs, miracles and on to the Middle Ages. Worth visiting are the Castle, built by the Monaldeschi della Cervara family in the twelfth and fourteenth centuries, the Complex of Saint Cristina with its fourth century catacombs, eleventh century basilica and seventeenth century baroque church. 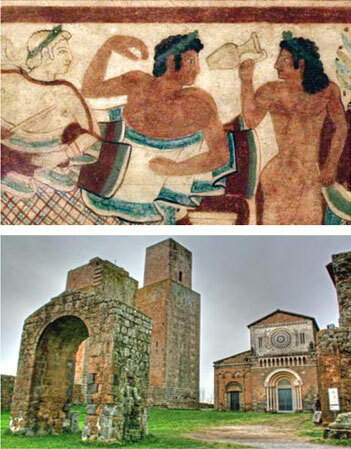 Bolsena has also been known since Roman times for its wine and eel. A stroll through the quiet historic center and by the newer Lungolago along the lake will give you a good glimpse of Italian town life. We recommend an excursion on the lake to visit the haunting Isola Bisentina and a swim in the cool crystal clear, spring-fed lake water. Other towns of interest around the lake include the picturesque fishing village of Marta and charming Montefiascone with its beautiful views of the lake from the gardens of the now ruined sixteenth century papal palace. For those interested in World War II history a visit to the Commonwealth Cemetery along the slopes of the lake is both moving and informative. Southern Tuscany is Tuscany at its best—pastoral landscapes that are gentler and more varied than those of the north, fascinating historic towns, tiny villages, and remnants of the Etruscan civilization that gave the region its name. 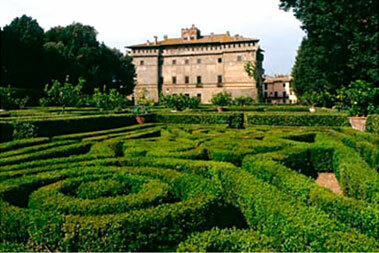 This area proves once again that there is always something new to discover in Italy. Perched on the crest of a volcanic hill since the sixth century, Montepulciano has numerous religious and secular buildings highly influenced by Florentine Renaissance architecture and is the birth place of the famous poet Politian. 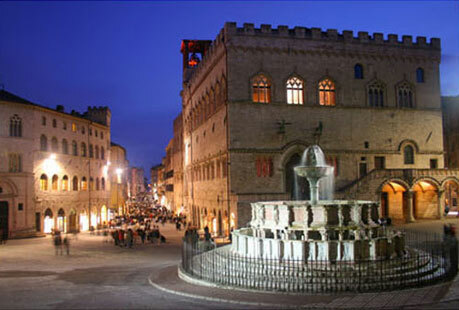 A stroll through the old town and a visit to the majestic Piazza Grande will charm any visitor. The views of the town and its environs from the tower of the Town Hall are magnificent. The Church of the Madonna di San Biagio just outside the Porta al Prato is a Renaissance masterpiece by Antonio da Sangallo and a highlight of Montepulciano. The town is also famous for its Vino Nobile, a delightful red wine made from Tuscany’s famed Sangiovese grapes. Pienza is the Renaissance city built by architect Rossellino and Pope Pius II Piccolomini. The historic town center is the most important example of an early renaiassance city planning that brought together civil and religious authorities. The Palazzo Piccolomini and the views of the Val d’Orcia from its courtyard are breathtaking in every season. The Cathedral is worth a visit and a stroll in the narrow streets of Pienza is a must. Don’t forget to taste the Pecorino cheese selections that add to the fame of this delightful Tuscan town.